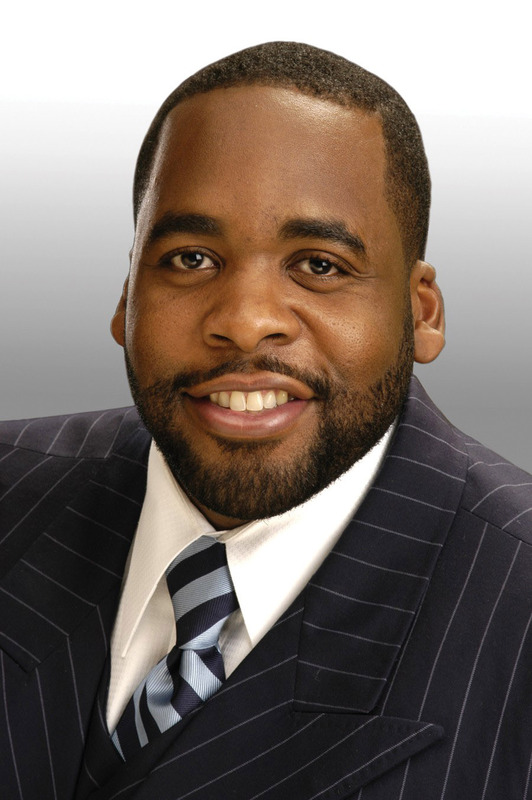 DETROIT — Kwame Kilpatrick, the youngest mayor in Detroit history, who became a devisive figure and ended up in trouble with the law time after time, was convicted by a Detroit federal jury today on numerous public corruption charges, along with his long-time friend Bobby Ferguson. His father Bernard Kilpatrick was convicted on one count of filing a false tax return. After 14 days of deliberation, the jury of six whites, five blacks and one Hispanic found Kilpatrick and Ferguson guilty on most counts incluindg racketeering conspiracy, extortion and bribery. The jury could not reach a verdict on the father involving the racketeering. U.S. District Judge Nancy G. Edmunds said the jury had reachd a verdict on Friday but decided to sleep on it and come back on Monday. The jury found that Kilpatrick and Ferguson rigged bids and extorted money from contractors while Kilpatrick was mayor. Specifically, the jury found Kwame Kilpatrick guilty on 24 of 30 counts. The jury acquitted him on three counts and were deadlocked on three others. The jury convicted Bobby Ferguson on 9 of 11 counts and Bernard Kilpatrick on one of four counts. Bernard Kilpatrick faced racketeering charge but the jury deadlocked ont that one. Most of counts against Kwame Kilpatrick and Ferguson carry a maximum penalty of 10 to 20 years. His father, who was convicted of filing a false tax return, faces up to three years in prison. Posted: 3/11/13 at 12:24 PM under News Story.